First thing first… there is no such thing as a “good dog breed or bad dog breed“. I understand if it is a little hard for you to grasp but it’s the truth. Because it all depends on how committed you are to train your dog and the amount of time you are willing to spend with him. Dogs not only make great companions but also improve the health and quality of life of their owners. But remember, not all dogs are good for everybody. Just because a dog breed is very popular, doesn’t necessarily mean it’s a great choice for everyone, especially for beginners. Some dogs are simply easier to take care than others, require minimal grooming, exercise and training, making them an ideal choice for the first-time dog owners and beginners. Dogs who are highly sensitive, have personality and attitude, or assertive, require more training and are downright hard for first-time owners to manage. So as soon as you figure out why it is that you want a dog, you will be able to shortlist few suitable dog breeds for your family. Here, I have made a list of top 10 best dogs for first-time dog owners, in terms of easy to manage and less demanding. If your favorite dog breed is not here, that’s perfectly fine! Any first-time dog owner can be successful with any dog breed, as long as they are committed. 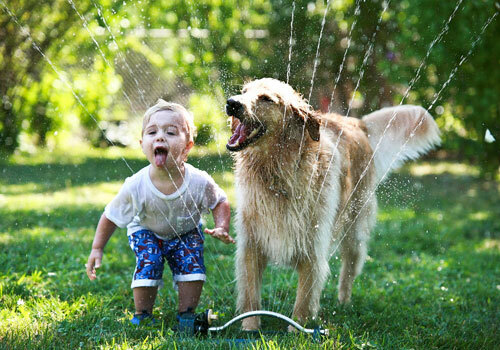 Golden Retriever is one of the most popular dog breeds among small families with children. They are medium-large sized dogs and are very friendly, affectionate, charming, well-mannered and gentle, especially with kids. Golden Retrievers have wonderful temperament, easily trainable and need minimal grooming, making them perfect choice for first time dog owners. They are low maintenance dogs, however their coat need regular brushing and bathing as part of minimal grooming. Energetic, fun-loving, loyal and intelligent, Golden Retrievers love displaying loyalty and affection to their masters. They are amazing with kids, even with small babies. They are very gentle and protective of them and their favorite pass time is playing games with children. The Golden Retriever is a family dog, and needs a leader to follow and adore. Without one, they may become destructive and over-exuberant. Here are some of the fun facts of Golden Retriever breed. Much like Golden Retriever, loyal and intelligent Labrador Retrievers are also one of the most popular dog breeds and highly recommended for first-time dog owners. They are very friendly, social and well-mannered dogs who love to play games and eat just about anything they are given. Unlike Golden Retriever, they are more energetic and require more exercise. In fact, due to his athletic nature, he makes an excellent hunting and tracking companions. Despite of their high energy, Labrador Retriever are very calm and gentle. As a matter of fact, they are absolutely amazing with kids and toddlers. They are playful, loyal and affectionate towards their owners. 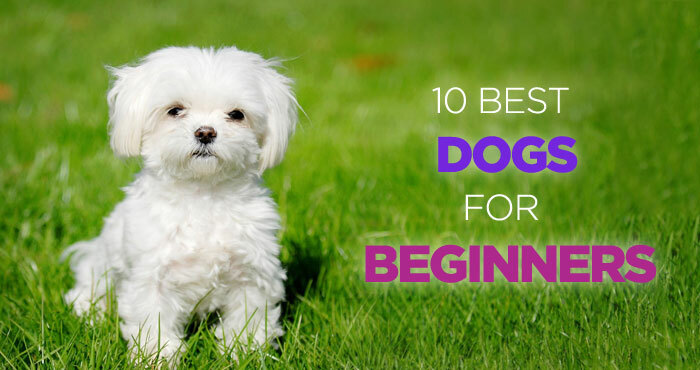 All of these qualities along with their low-cost lifestyle, make them one of the top choices for family dog and beginners. 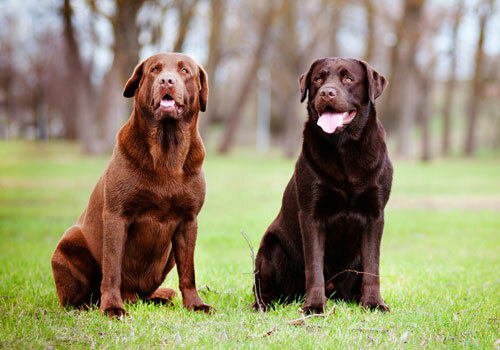 As a part of retriever family, they too seek an active leadership in humans and obey and protect them with their life. Brittany makes an amazing first dog for beginners and families with hyperactive lifestyle. They are loving, affectionate, easy-going and intelligent dogs that get along well with kids & other dogs and make a great companion. They are happy, friendly and enthusiastic dogs that are eager to please their master. However, due to his extraordinary energy level, Brittany is not for everyone, as he has lot more to offer than most people can grasp. These dogs need their exercise daily, or they get nervous. Because of their hyperactive lifestyle, they are not suitable to live in apartments or small homes. Although Brittany is easier to train and loyal, but they still require strong authority and discipline from their owner. As the breed is not much demanding, in terms of grooming and health requirements, except their daily exercise, they make a great first dog for first-time dog owners. Greyhound has long been known for their great speed and strength, making them suitable for hunting and racing. They seem like aggressive and a very expensive breed to manage but the reality is far from the truth. 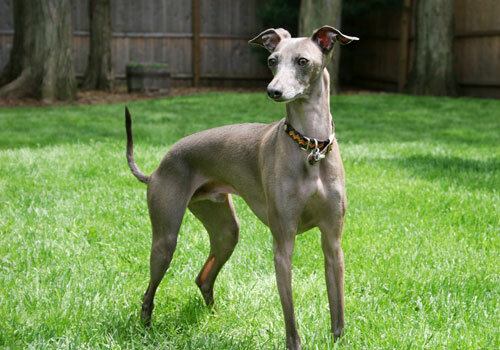 Greyhound is a friendly, quite, clean and healthy breed of dogs and despite of popular belief, they are calm and their favorite pass-time is sleeping. They are known for their loyalty towards their owners and they are amazing with kids and other dogs, although toddlers are bit too much for them. Since they are calm, healthy and have short coats, they require extremely low maintenance and make great dog for beginners and small families with children. Poodles have a reputation of being one of the most intelligent dog breeds in the world which makes them extremely easy to train. They are smart, well behaved, energetic, sensible and entertaining. Because of their friendly nature and wonderful temperament, they get along well with children, making them ideal choice for small families. Poodles are bit demanding in terms of grooming. Their wonderful coat needs a lot of upkeep to stay beautiful and healthy, so they require regular grooming and brushing. As being smart and intelligent dog, in absence of stronger authority they consider themselves as alpha of the family and may try to take over. 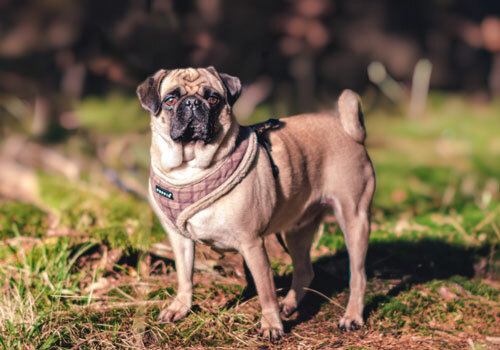 Pug is a friendly, funny, loyal and adorable breed and need very less exercise and minimal care, which makes them highly recommended for first time dog owners. Because of their happy & friendly nature, fun loving personality and playfulness, they fit well with all type of families, children and other animals. They are social dogs and do not like being left alone for a long time. These small-sized dogs are loyal in nature and develop strong emotional bonds with their owners. Although Pugs are not athletic dogs but they do need their daily quota of exercise in form of games and walks to maintain their healthy lifestyle. They also get overweight very easily if not fed balanced diet and minimal exercise. But they are stubborn in nature which makes them a little harder to train for beginners. Now here are some fun facts about Pugs. Bichon Frise is cheerful small dog that is actually bred to be a companion dog, making them perfect choice for people who never owned a dog their whole life. Their small size makes them easily manageable and their playfulness and curiosity makes them explore surrounding nature. 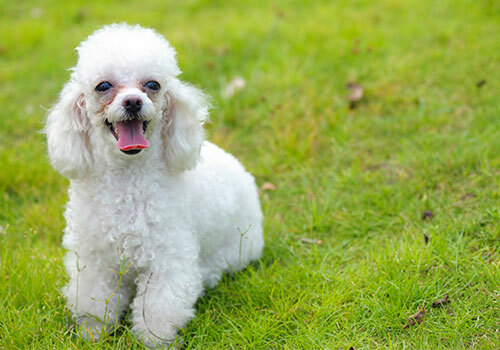 Bichons are smart, happy and cheerful in nature, which makes them joy to live with. These cute fluffy bundles of fur are affectionate, friendly and entertaining, they are ideal for families with children and small apartments. 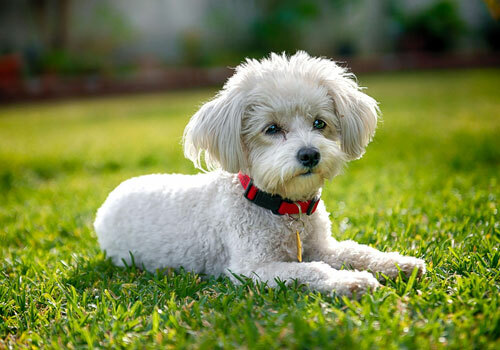 Bichons are great family dogs and enjoy the company of other pets, such as cats and other dogs. They generally get along well with other people but they also make excellent watchdogs. Being friendly and social, they don’t like to be left alone for long periods of time. Grooming is must for Bichons. They require professional grooming regularly. Papillon is cute and cuddly, small-sized dog but don’t be fooled by his size. They are the perfect definition of ‘a big dog in a small body’. Papillon have big personality and can be dominant if you allow them to be. That’s why they are not so great with children. Papillon needs a strong owner to become his leader. 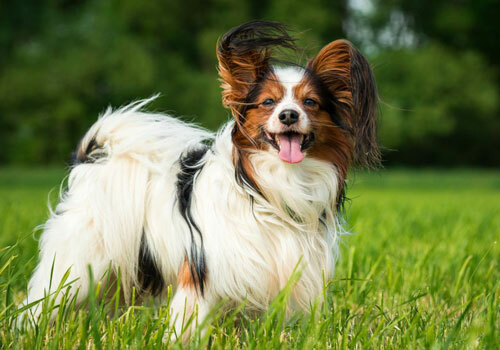 In general, Papillon is a friendly, funny, energetic and intelligent breed which is loyal and always eager to please their master. They are filled with so much energy, they can practically play all day long. They are smart and fast learner, thus they are easier to train and well known for their minimal grooming requirements. Overall Papillon makes a great companion and first dog if you can keep up with his energy level. 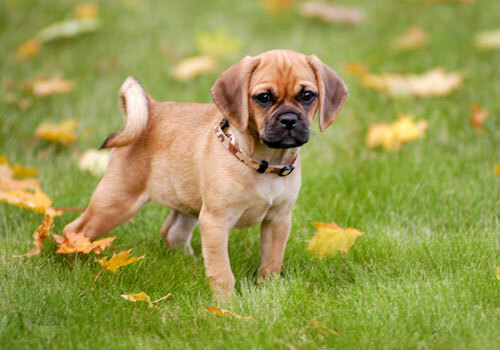 Puggle is a cross breed of the Pug and Beagle, and offers the best of both worlds in true sense. They make a great first dog because they are bred to be perfect, in terms of personality and maintenance. Just like a Beagle, Puggle is a friendly and sociable family dog but does not fill with lots of curious energy of a Beagle. On top of that, they get all the cuteness and cuddliness from the side of the Pug. Due to their friendly and gentle nature, they are great with kids and love to play and walk with them. They are loyal, easily trainable and eager to please their owners. However, like most mix-breeds, his traits are not fixed, so they are known to be stubborn and distractible. 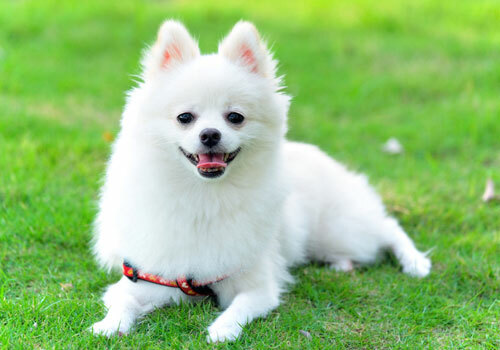 If you are looking for small-sized cute and active dog then Pomeranian is the best choice for you. Their long, fluffy and luxurious coat might misguide you into thinking they require extensive grooming, but in reality regular brushing is all they need. Pomeranians are friendly, intelligent, curious and loyal to their owners. Because of their small size they are ideal choice for families living in an apartment or smaller houses. They are energetic dogs and love to play games to fulfill their exercising needs. They generally get along quite well with children and other dogs. Despite their small size, Pomeranians have a loud bark and make amazing watchdogs. But their loud bark can be annoying sometimes. These are some of the most popular dog breeds for new owners. But as I already mentioned earlier, just because a dog breed is very popular, doesn’t necessarily mean it’s a great choice for everyone. That being said, you should not limit your options by popularity but decide a breed based on characteristics like low maintenance, minimal grooming requirements, easy trainability and temperament with others (children and pets). Last but not least, whatever breed you choose, you will need to be patience with your dog. The fact that we all want to have dogs is incontestable but what breed? This article will help you choose the right dog breed for your family & children. I have a Brittany, and we got him when my daughter was just 2. And I can tell you that if you raise them right and with children they are the best dog for any family. I would honestly love to get a Brittany one day, but I live in NYC, so I’ll most likely be living in an apartment for a while. I’ve heard these dogs aren’t well suited for apartment living, but as an owner, what are your thoughts? I don’t know about other dogs, but as I know Pomeranian and the article you wrote about Pomeranians is quite true and very accurate. Thanks Harsh. I am glad you found it helpful. I am also a dog lover like you, but I don’t think I know that much about dogs. It always feels good reading about dogs. And your feedback is awesome. It gives me the energy to write more of such guides. Living and owning apts. I’ve found that the Shih Tzu is ideal for apt. Dwellers Apts are spacious enough for this breed to get all the exercise they need. No need to go out in the cold. Hypoallergenic, no shedding, extremely loyal, easy to train, a joy to please you, great foot warmer, dosesn’t eat that much thus less poop to deal with. Easily crate trained. They do require grooming as their hair gets silky and long. This gives you a great opportunity to bond with your Shih Tzu. Average size 6 to 10 lbs. I raise them. I’m a hobby breeder and this breed has it all and is excellent with the children too. Thanks Bonnie for your insight and suggestion. 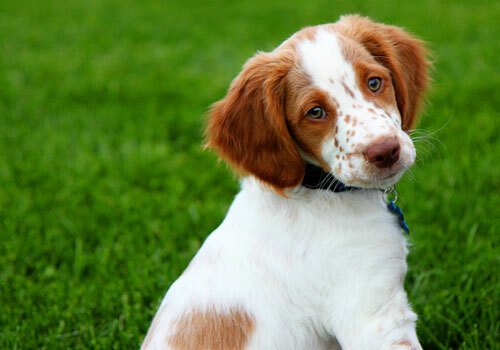 My husband and are looking at getting a Brittany. Would you happen to know how they handle moving? We don’t plan on moving right away, but we want to get established with a dog before uprooting and getting into a busier schedule. I know this might sound like we’re going to be too busy for a dog, but someone will almost always be with it. I just want to build a bond before we get too focused on having kids. Lindsay, that’s an excellent idea. Brittany is a great dog but requires regular exercise because they are hyperactive. Except that they are perfect for a small family and they get along very well with the kids.